Hope you are all having a wonderful weekend! I was really focused on getting my Whimsy Shop up to date this week...which really cuts into my scrapping time! However I was able to get a couple of layouts done :) Here's one I completed for the first round of "So You Think You Can Scrap" contest over at LCOM. I was sooooo nervous about this challenge: "Clean and Simple"...I usually load up my layouts with embellies etc. I made it onto the next round, so keep your fingers crossed for me! 2 random winners will be chosen - Come Join Us! There is still time left until the contest is closed!! Here's my take on the Creative Scrappers Sketch #86.....Fun photo of Sally and I and of course, Sassafras everywhere!!! Love this collection of paper "Life at the Pole"...so fun! 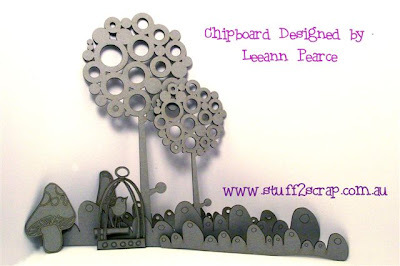 Here's another layout that I finished this week using some older Basic Grey papers and chipboard...Sugared. I'm so proud of Emilee!!! I hope everyone is enjoying their weekend! Happy Sunday! New Sassafras ~ Cherry Delicious! I'm loving this new collection by Sassafras....can't wait to get my hands on it! I'm loving the new blog design that Kristine put together for me!!! The elements are from Amy Sumrall over at Lily Pad Designs...so much fun! Thank K! Big hugs!!! 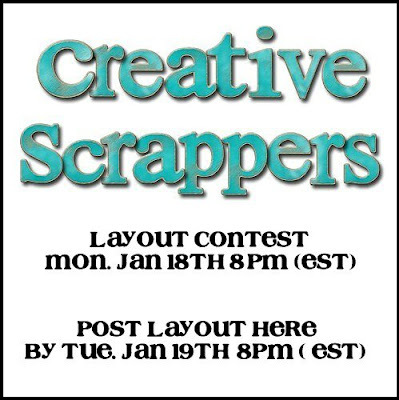 I've been working on a few Creative Scrappers Layouts lately and can't share anything just yet until the Reveals for Sketches 84 & 86! Here is a layout I completed tonight as part of the LCOM 52 Sketch Challenge....C'mon over and join the fun! One sketch per week, that's the goal! Rose Moka Papers, Sassafras flowers and MLBOW Buttons! Love these two photos of my girl Maggie....She just turned 12 a few weeks ago! Wishing everyone a wonderful week!